Kelly Ripa & Mark Consuelos Celebrate Their Son's Middle School Graduation! 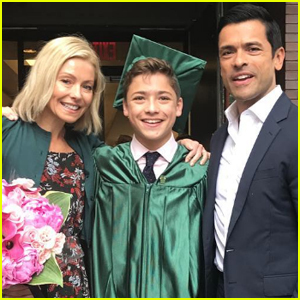 Kelly Ripa and her husband Mark Consuelos‘ youngest son Joaquin is already graduating middle school! The 46-year-old Live! host and her entire family celebrated the milestone on Friday (June 16) and it looks like it was a great time. Kelly took to her Instagram to share a sweet family photo outside of the ceremony and mentioned that the family was celebrating one other milestone! That same day, Kelly and Mark‘s daughter Lola was celebrating her 16th birthday! “Congratulations to Joaquin Antonio Consuelos!!! You’ve made us very proud! �”(yet another graduation on Lola‘s birthday. She is furious!!! )” Kelly jokingly captioned the family pic. Kelly Ripa and husband Mark Consuelos takes their two sons — Michael, 12, and Joaquin, 6 — for a stroll through the SoHo neighborhood of New York City on Friday afternoon (June 26). Kelly Ripa shows off her bikini bod while relaxing with her husband Mark Consuelos and their kids at Fontainebleu Hotel in Miami, Florida on Monday (May 4). The 38-year-old mother-of-three displayed her fit figure and even went down the waterslide with her kids! Michael, 11, Lola, 7 and Joaquin, 6, all joined in on the family fun! It looks like the family was shooting a segment for Live with Regis and Kelly! as a camera crew was spotted nearby and Live exec producer Michael Gelman was also around. Kelly Ripa picks up daughter Lola Grace, 6, and Joaquin Antonio, 5, from the Ethical Cultural School on the Upper West Side of New York City on Tuesday afternoon. Afterwards, the trio walked to the nearby Jaros pharmacy and then met up with hot papa Mark Consuelos. Kelly and Mark (both 37) recently signed a first-look deal with TLC for all unscripted TV projects. 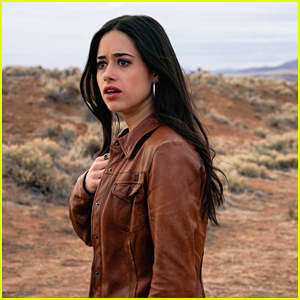 In addition, Kelly will host the as-yet-unnamed series on air. Morning talk show host Kelly Ripa takes her youngest child, Joaquin, 4 1/2, to the Reebok Sports Gym for a birthday party on Sunday afternoon. Kelly recently signed up to help WE tv register over 1 million women to vote in the 2008 election while educating them on important key issues of interest to them. Kelly celebrated her 37th birthday earlier this month. Live with Regis and Kelly! co-host Kelly Ripa arrives at NYC’s Trump Hotel on Wednesday with her children — Michael, 10, Lola, 6, and Joaquin, 4 — and a group of their friends. The kid-friendly Kelly will lend her voice talents in the animated feature Fly Me to the Moon, out later this year. 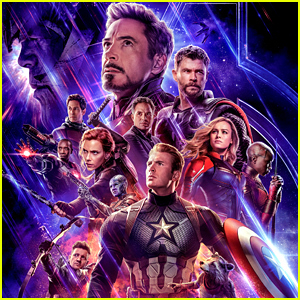 It is said to be the first animated film to be designed, created, and released solely in 3-D. Her hot hubby Mark Consuelos is currently the host of the NBC reality TV show Age of Love, which features Australian tennis star Mark Philippoussis as he looks for love in women in their 20s as well as women in their 40s.